Tania has a qualification in PTTLS (Preparing to Teach in the Lifelong Learning Sector) She also has a QA Level 2 Award in Emergency First Aid at Work. She completed Tomorrows leaders in 2014. 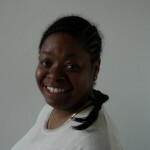 Tania has worked as a Through the Maze Supporter since 2007 before continuing this role at Connect in the North in April 2015. Tania delivers training and provides office support. She also works with the Pass it on People, Good Lives Leaders and Rooots. Tania is also a Get me Better Champion.